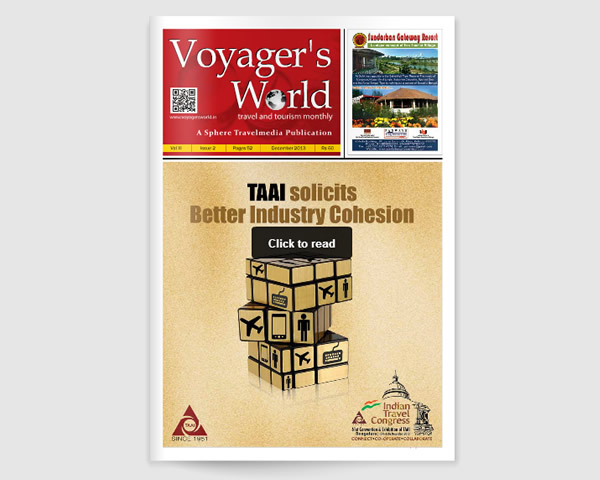 Voyager’s World is a premium travel trade magazine published from Bangalore – India. The magazine has been in publication for the last one decade, keeping the pulse on the Indian travel, hospitality and aviation industry. With a circulation of 25,000 and growing, the magazine has been keenly read by the key personalities and officials in the travel, hospitality and aviation industry. Voyager’s World has been visible at world’s leading travel exhibitions such as WTM, ITB Berlin, ATM, etc and it has won accolades and appreciations from the travel industry for its authentic and extensive coverage on the changing world of travel industry.